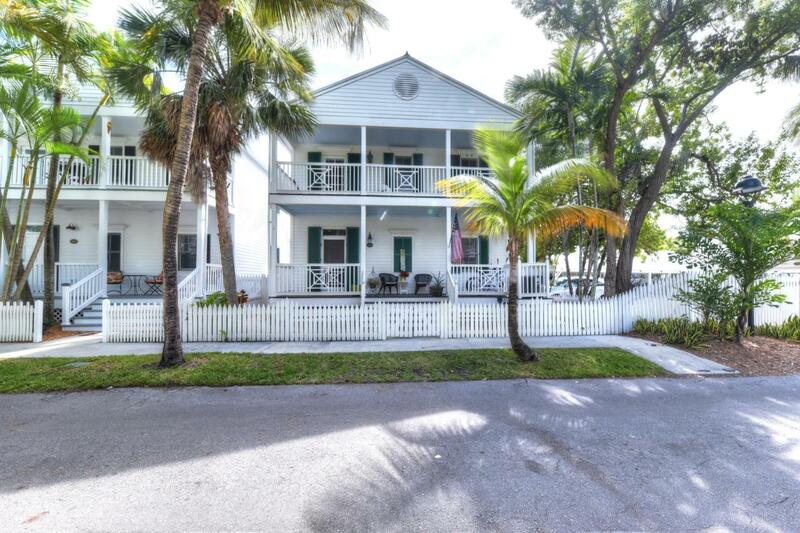 Nicely maintained single family home in the highly desirable Sanctuary area of the Key West Golf Club. The open concept floor plan has a spacious downstairs living area with French doors opening to a covered screened patio. Fully bricked backyard with a privacy wall and cocktail pool, perfect for cooling off on a hot day. Both bedrooms are en-suite and the master has a front porch to relax and enjoy the tropical breezes. Assigned covered parking and off-street guest parking are available in the lot adjacent to the residence, making this one of the best locations in the Sanctuary. Call today to see this beautiful KWGC spa home!